Piracy in West Africa has been on the rise since mid-2009, and has spiked sharply over the course of this year. The UN Security Council has recently voiced its concern over the increase, noting an intention to deploy a United Nations assessment team to the region to “examine the situation and explore possible options for United Nations support”. Some analysts have pointed to the widely-publicised success of Somali pirates, and suggested this has directly influenced pirates in the Gulf of Guinea. However, reports have indicated that attacks in West African waters have also tended to be more violent than those off the Horn of Africa, and that many robberies likely go unreported due to the high frequency of illegal oil bunkering in the Niger Delta. 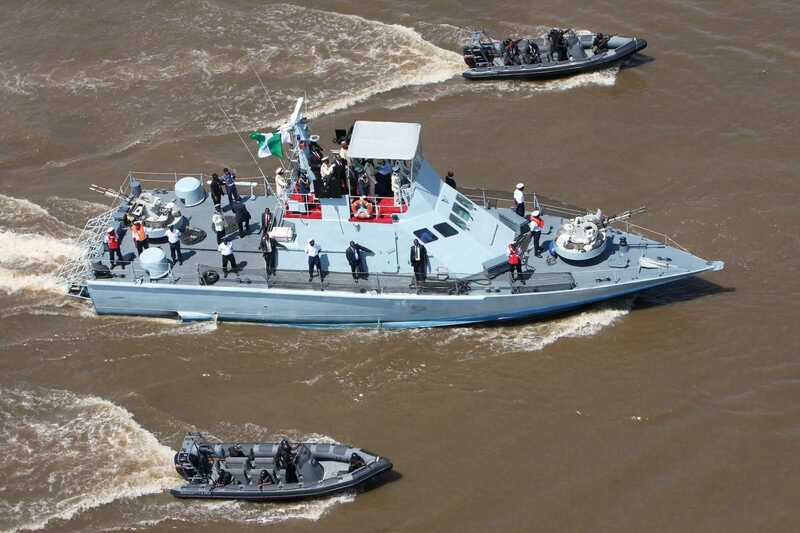 The recent increase in frequency and severity of attacks has prompted the Lloyd’s Market Association Joint War Committee to raise the threat level of Nigeria, Benin, and neighbouring waters to the same category as the waters off the Horn of Africa. On the other side of the continent, naval forces from around the globe have been deployed to the Gulf of Aden / Horn of Africa in order to deter pirates, and protect international shipping from attacks. Whilst there have been admirable results from these programs, there are also some notable shortcomings. With the number of merchant ships requiring protection vastly outstripping the assets deployed in theatre, there exists a simple problem – these warships cannot be everywhere they are required at once. Against an asymmetric threat such as piracy, deploying warships in large enough numbers to counter all pirate vessels is simply not cost effective. For example, the cost of the US counter-piracy operation, represented predominantly by the presence of US Navy assets in Combined Task Force 151 and in NATO’s Operation Ocean Shield, is approximately $64 million per year. Then there are the expenses of other NATO countries, the EU, China, India, and other nations involved to consider. Such expenditure seems excessive for the results achieved. The role that private security companies can play in protecting ships at sea has been well-documented, and the very high success rate of such is widely known. The value of well-trained, appropriately employed armed contractors cannot be understated; such guard forces are now provided by a number of companies, and can provide a significant deterrent and defence capability to ships’ Masters. Moreover, such an embarked guard force can provide a high level of protection, available at all times, for a reasonable economic outlay. Armed guards do occasionally run into trouble, however. More importantly, as has been widely noted, piracy is a problem that starts ashore. One model that has shown a promising cost-benefit ratio is capacity building operations. An example of such is Triton International Ltd’s training of the Somaliland Coastguard. Since 2009, Triton has been involved with developing and implementing both training and operations plans for the Coastguard, providing the region of 3.5 million people with a broad spectrum maritime capability, unique within Somalia. To this end, Triton developed a 12-week basic training course for the Coastguard, as well as specialised modules on tactical maritime operations, maritime law, and vessel maintenance. Based out of the ISPS Code-compliant port of Berbera, the Somaliland Coastguard has delivered significant security progress with limited funding and materiel. The Coastguard operates small, fast patrol boats equipped with deck-mounted 14.5mm KPV heavy machine guns. The Triton model is cost-effective and efficient, serving as a good example of an “expandable platform”. That is, the Somaliland Coastguard model, if extrapolated to assist some of the smaller, under-patrolled nations in the Gulf of Guinea, could provide these states with the capability to begin countering maritime threats in the region. Many of these smaller nations in need of maritime security assistance have short coastlines, and would require only minimal investment to establish a relatively effective patrol force. For example, Togo’s coastline is a mere 56km long, Benin’s 121km, and Liberia’s 579km. By comparison, Somaliland has a 740km coastline. Capacity building programs can also gain access to areas – namely the littoral and coastal zones – where foreign defence assets may not otherwise be welcome. By partnering with the host nations or communities in areas of concern, the international community is able to increase its awareness of the threats at hand, and to determine how best to respond to these. Funding sources for such a program could be diverse, ranging from local governments or foreign governments, to shipping companies, international bodies, NGOs, or cultural diasporas. Private industry is in a unique position to be able to deliver such programs at a reasonable cost, and without placing further demand on the already-strained naval assets of many nations with strategic interests in West Africa, particularly the US. Such capacity building models have distinct national security benefits for foreign powers; the deployment of navel assets required to keep vessels and key infrastructure secure is expensive and inefficient in many scenarios. Capacity building models allow for the development of increased maritime security capabilities that are essential to protecting not only local, but foreign interests. This is especially true when you look at the energy security threats presented by pirates as well as local and transnational criminal and terrorist groups in the Gulf of Guinea. Capacity building programs represent a very real, scalable approach to countering the numerous maritime threats present in the Gulf of Guinea. Challenges certainly exist, but similar challenges in other regions have been mitigated cost-effectively through an industry-based approach. Such programs are eminently compatible with existing strategies of foreign government-led capacity building, such as the United States’ Africa Partnership Station (APS) program, with local initiatives to bolster maritime security forces, and with the existing private sector practice of deploying armed guards on merchant vessels. With a broad-spectrum approach to the problem, such complementary strategies provide the region with interconnected layers of security in order to deal with maritime threats as comprehensively as possible, and in a cost-effective way. UPDATE 06/02/2012: Global West Vessel Special Nigeria Limited have been awarded a ten-year, $130 million USD contract for maritime security in Nigeria. This entry was posted in Counter-piracy and tagged african partnership station, amlep, capacity building, counter-piracy, counterpiracy, nigeria, piracy, private security, psc, triton international, west africa by N.R. Jenzen-Jones. Bookmark the permalink. Found this from a LinkedIn post. I’ m very interested in the economic costs of piracy in W Africa from hits to oil revenue and etc. Any statistics or figures you could point me to? I don’t have any specific statistics handy, but there are a number of sources referenced in the pieces listed under ‘Further Reading’, above. I’d start there. Is having maritime security on your ship, really a deterrent against Somalian piracy? The answer is a resounding yes.